American actor and film star Kirk Douglas with the Légion d'honneur, 1985. American actor and film star Kirk Douglas with the Légion d'honneur, 1985. 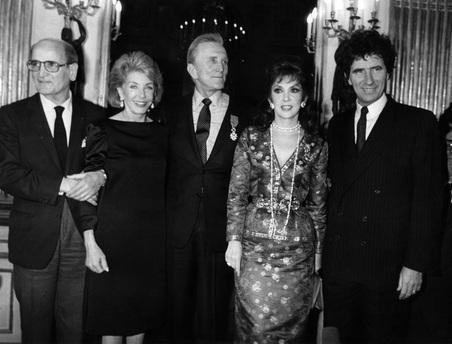 Douglas (1916-), who received the honour in 1985, with Georges Cravenne (1914-2009), founder of the César Award, Douglas' wife Anne, Italian actress Gina Lollobrigida (1927-) and Jack Lang (1939-), French Minister of Culture.